In 1964, a group of vegetable industry leaders concluded that Michigan needed a state-wide vegetable organization. The intent was to bring together individual growers, along with commodity associations, processors, shippers and other trade people interested in promoting the welfare of the state's vegetable industry. As a result, the Michigan Vegetable Council Inc. was incorporated in 1964. The first board of directors were growers Duane Baldwin from Stockbridge and Frank Smith Jr. from Carleton; Herb Turner from Daily Pickle Co. in Saginaw; William Hays from Gerber Products Co. in Fremont; and Robert DeBruyn from DeBruyn Produce in Zeeland. At the time it was organized, the primary purposes of the Michigan Vegetable Council were to promote vegetable research and extension work through Michigan State University and to provide educational programs and other information beneficial to those in the vegetable industry, particularly growers. For the purpose of providing educational programs, the Council, in cooperation with the Department of Horticulture at Michigan State University, initially sponsored meetings in early December at the annual convention of the Michigan State Horticultural Society in Grand Rapids. Starting in January of 1968, the Council's first annual trade show and educational meeting, which became the Great Lakes Vegetable Growers Convention, was held in Lansing. The annual convention was moved to Grand Rapids in 1989. The Great Lakes Vegetable Growers Convention and Farm Market Show ended its run of successful events with the 34th held in January 2001. In December 2001, the Michigan State Horticultural Society and the Michigan Vegetable Council combined shows, initiating the Great Lakes Fruit, Vegetable and Farm Market EXPO. It has become the largest show of its kind in the country. In addition to co-sponsoring the Great Lakes Fruit, Vegetable and Farm Market EXPO, the Michigan Vegetable Council serves the vegetable industry in a number of ways. The Council funds research and education beneficial to vegetable growers. The Council has been successful in obtaining additional research funding from other sources, including Specialty Crop Block Grants. It provides scholarship support to deserving students who plan to be involved with vegetable production in the future. 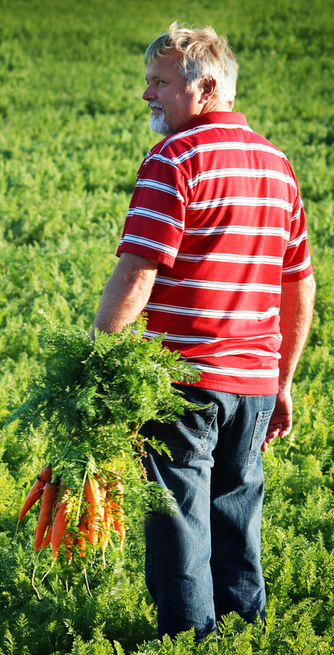 The Council represents the interests of vegetable growers at numerous government, industry and university meetings, hearings and planning sessions. The Council has memberships and is an active supporter of a number of important state and national organizations, including the Michigan IPM Alliance, the National Council of Agricultural Employers and the Minor Crop Farmer Alliance. In 2014, the Council commemorated 50 years of service to the industry. It could not have reached this point without the foresight of those who started the Michigan Vegetable Council and those who have led it through the years. We acknowledge their efforts. The Council represents the interests of more than 1,200 grower members. If you registered under the vegetable or fruit/vegetable categories at the most recent Great Lakes Fruit, Vegetable & Farm Market EXPO, you are a current member. Membership includes free annual subscriptions to Vegetable Growers News and American Vegetable Grower. If you did not become a member by attending the most recent Great Lakes Fruit, Vegetable and Farm Market EXPO, call the Council’s office at 517-663-6725 or complete the form below if you are interested in supporting the Council’s activities through a membership.